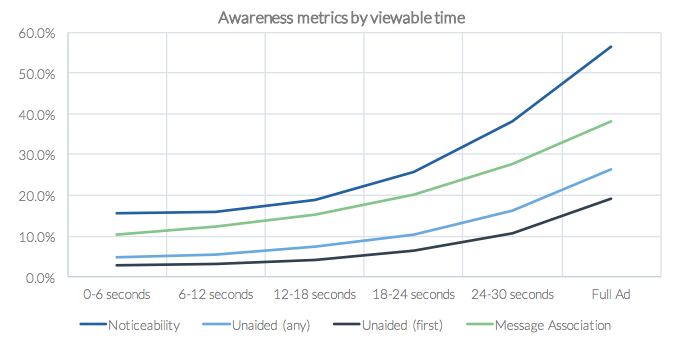 In light of the industry’s increasing frustration with the state of viewability, Teads commissioned a viewability research study with Millward Brown to determine the best standards for an effective video strategy. By evaluating the viewability of outstream and instream formats, we concluded that different video formats play a direct role in influencing the users’ willingness to watch and engage with the ad. A 30 second video ad was served to US-based audiences, ranging between 18-69 years old. The video ad was delivered through an instream or outstream formats, within a natural web environment. 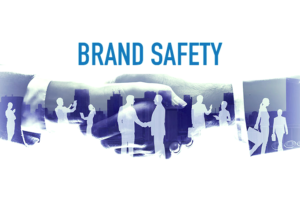 Ad effectiveness measurements were collected in a post-exposure survey. 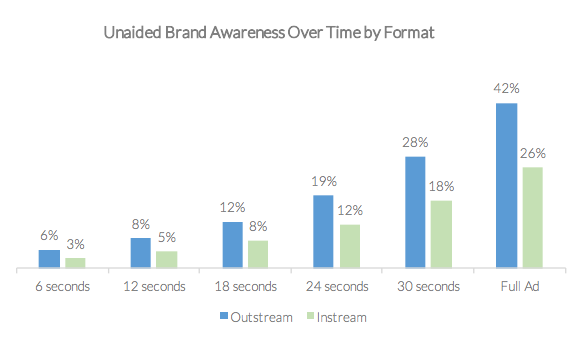 Key Takeaways: Ultimately, this study reveals how crucial viewing time and advertising format are to a video campaign’s successful execution. 4. 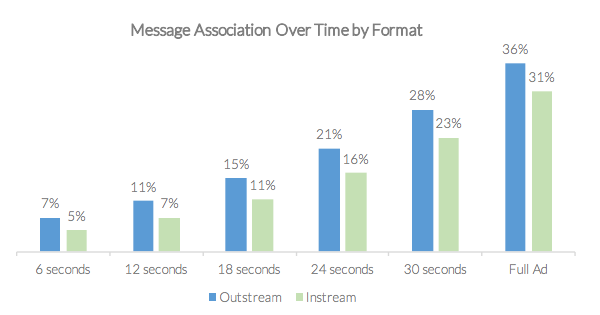 Both formats drove lifts in message association of viewing duration. 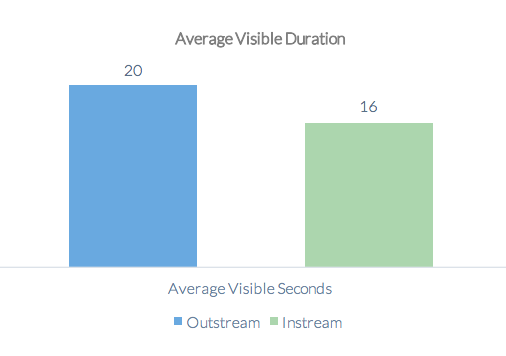 Outstream formats generated a 29% increase compared to a 26% increase for instream. 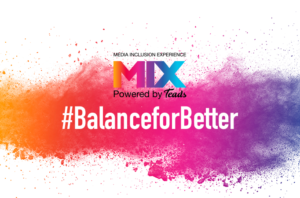 Through this study, it’s clear that outstream video formats emerge as a top performer, enabling campaigns to achieve the powerful results they deserve. 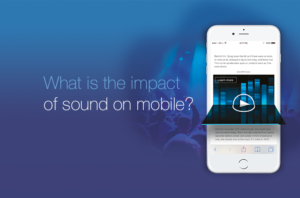 Gain more insights about outstream by downloading the full study. You can also learn more about outstream video, or see what types of outstream video formats are available by combing through our format gallery or contacting us directly.